Sometimes I think that once my fundraising is over, I will never want to make an other cup for the rest of my life. Then I take one of these out of the freezer, eat it, and head directly to the store to buy more ingredients, so that I can eat 7 more, then make more. These were probably the most popular. 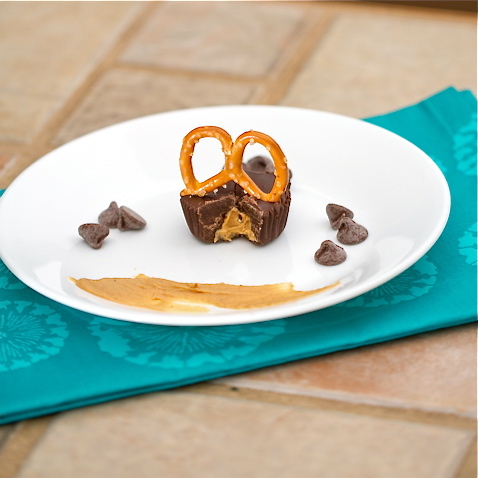 Everyone loves sweet and salty.There’s also a lot of great textures between the pretzel, the chocolate, and the peanut butter. In fact, they’re almost like those chocolate covered peanut butter pretzels from Trader Joe’s. I never buy those, because I know once I opened them, they would last approximately 6 minutes. I know my weakness, ok.
Hungry yet? If you live in the Phoenix area (chocolate doesn’t ship well when it’s 117 out, and yes, that was the temperature an hour ago), you can order them @ $10 a dozen. As always, 100% of that goes directly to Chances for Children, and your purchases are tax deductable. Line 24 mini muffin tins with paper liners. In a medium bowl, melt chocolate and coconut oil in the microwave in 20 second intervals, stirring after each, until melted. Spoon enough chocolate to cover the bottom of each baking cup. Add 1-2 tsp peanut butter. Top with chocolate until peanut butter is completely covered and top is smooth. 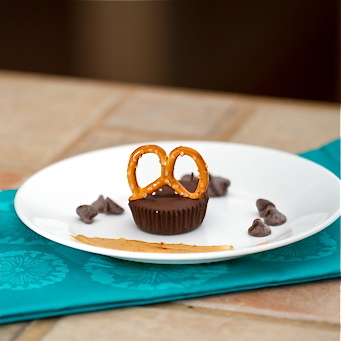 Gently, press the bottom of one pretzel about half way into each cup. Freeze to set. Keep in freezer or fridge. Spoon enough chocolate to cover the bottom of each baking cup. Add 1-2 tsp peanut butter. Add one lightly chopped pretzel. 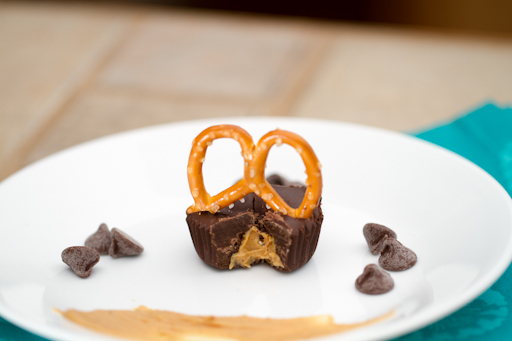 Top with chocolate until peanut butter and pretzel are completely covered and top is smooth. 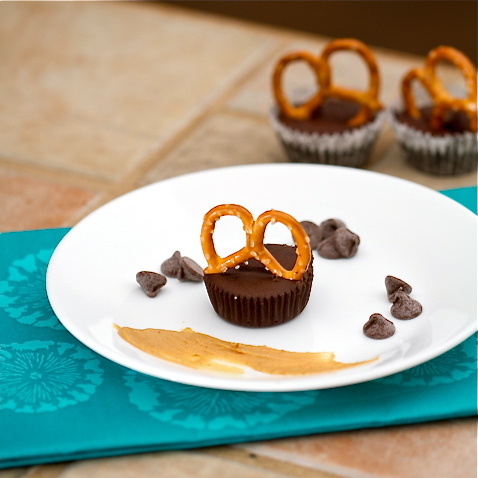 This is something I would never miss out trying…Love PB and pretzels!